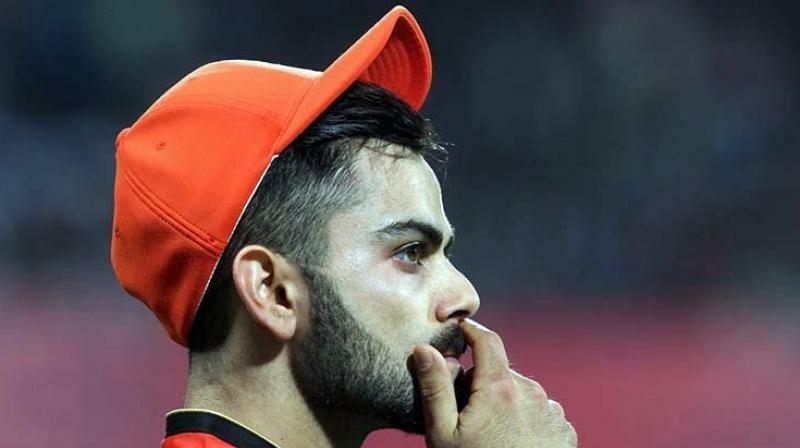 Although Virat Kohli's Star players of Cricket, but in the IPL 27th match, Royal Challengers Bangalore had to face a very embarrassing defeat at the hands of Kolkata Knight Riders. In the match played at the Eden Gardens ground on Sunday, the name of Bengaluru playing against Kolkata has added an unmatched record to the minimum score of IPL history. Earlier, the minimum score of IPL history was 58, which Rajasthan Royals made against Royal Challengers Bangalore in 2009. RCB's lowest score was 70 runs. The team was all out on this score against Mumbai in 2014. The Bengaluru team was AllOut to just 49 runs in 9.4 overs and KKR won by 82 runs. Not even a single player in Bangalore could reach double digits. Coulter-Nile, Chris Woakes, Colin de Grandhomme bowled brilliantly and took 3-3 wickets. Chasing 132, Royal Challengers Bangalore captain Virat Kohli and Chris Gayle landed in the ground but in the first over, Virat Kohli caught behind in the slip by Coulter-Nile.The team got the first blow on just 2 runs. Umesh Yadav walked Mandeep Singh in the next over. Both batsmen got caught by Manish Pandey In the third over, AB de Villiers finished third wicket. Robin Uthappa caught good catch. In the fifth over, Nile made Kedar Jadhav his third victim, the half-team of RCB returned to the pavilion at just 40 runs.